Lucky enough to find yourself in New York City this weekend? 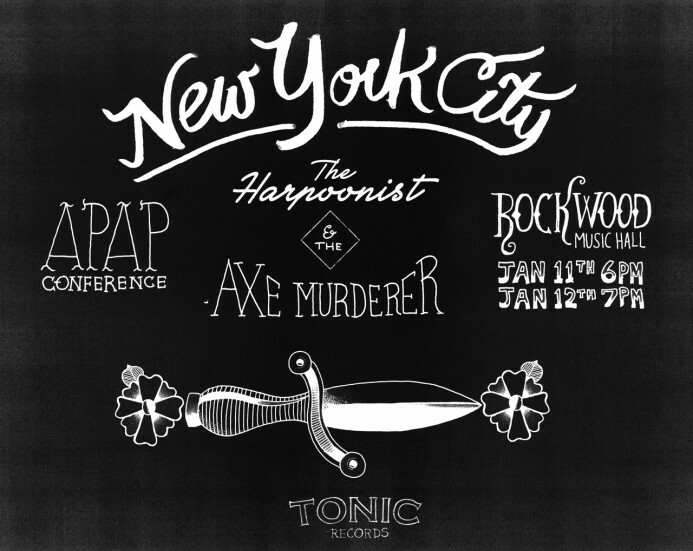 Don’t miss The Harpoonist & The Axe Murderer at the Rockwood Music Hall. Catch their free show and hear new material from their upcoming 2014 release.